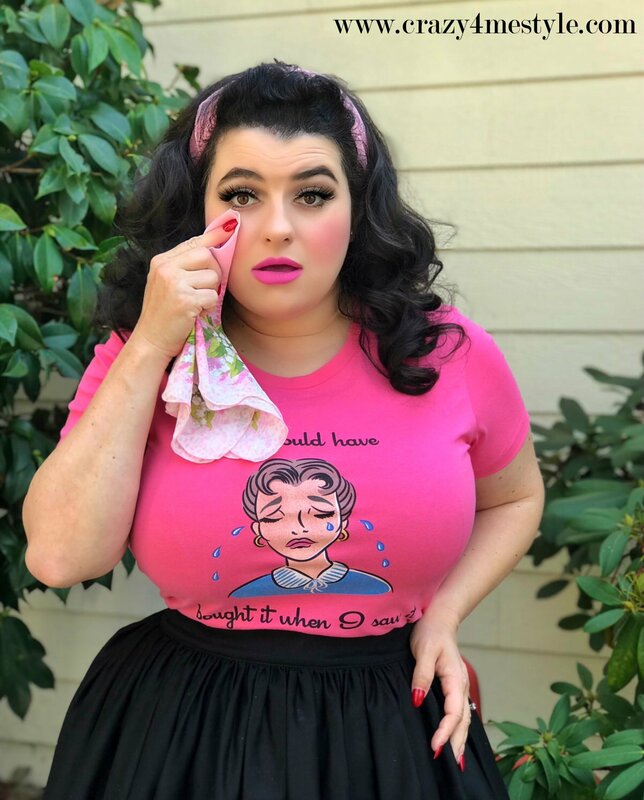 A big thank you too all you Dolls who have been snapping up our latest t-shirt in our new ‘tagline’ series and expressing your mood with the ‘I Should Have bought it When I saw It‘ t-shirt. 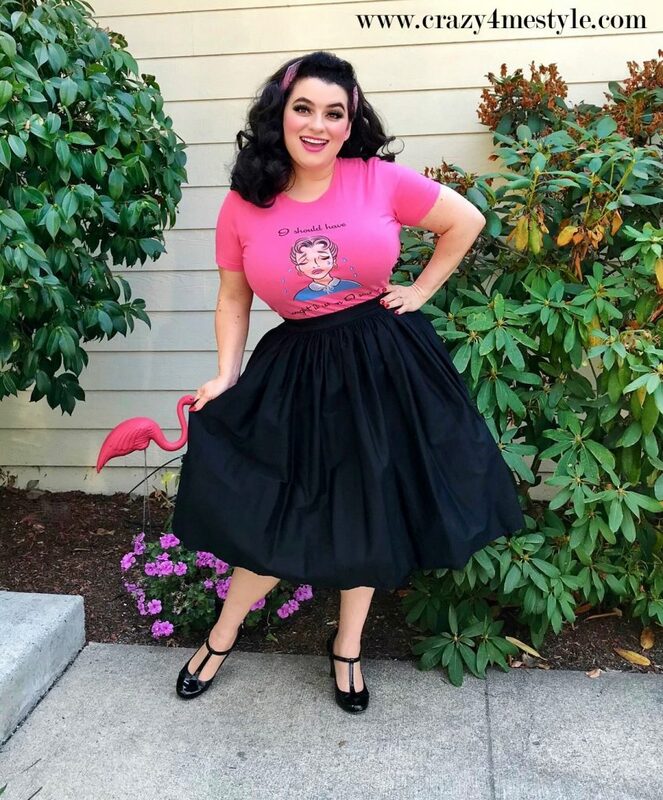 Crazy4Me Style’s line of tagline tees are all about the modern Pinup and expressing ourselves with vintage style custom artwork of lovely ladies with vintage hair and styling. 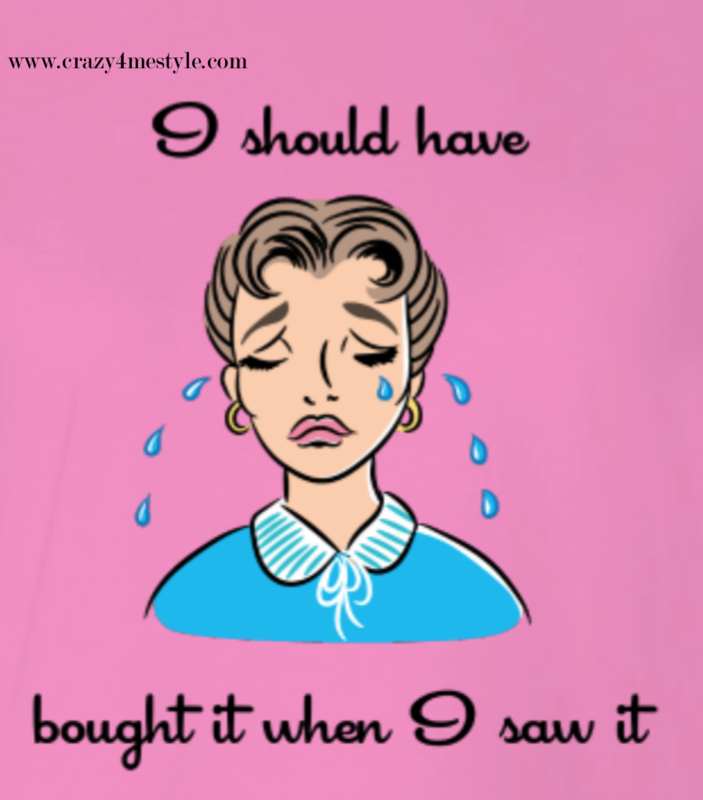 Many of you can relate to the saying ‘I Should Have bought it When I saw It‘ so we put it on a t-shirt and, ladies, we have all been there right!! Our ‘I Should Have bought it When I saw It‘ t-shirt. comes in a range of sizes XS-2XL plus size. We are adding new tee designs regularly so check back often! !